There are many areas of the state where corn or soybeans were planted late due to hail or other storm injury. Be aware that these late planted fields will be at risk for late season insect infestations. Corn will attract many insects during silking. It may have higher than normal populations of corn earworms, European corn borer, and corn rootworm beetles, as well as other insects. Late planted corn functions as a trap crop for rootworms, and beetles from surrounding fields planted earlier will move into later planted fields and concentrate there to feed and lay their eggs. Corn planted back to these fields in 2015 will be at greater risk for rootworm injury, depending on how many rootworms moved into the field. 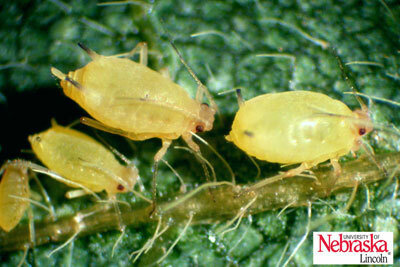 Soybeans also will attract insects such as stink bugs during flowering. Also, leaves will be green while nearby soybeans may be less attractive to insects. Late season caterpillars, bean leaf beetles, rootworm beetles, and soybean aphids may cause economic damage in these fields. Don't ignore these late planted fields. Continue to scout them during their vulnerable growth stages, regardless of the calendar date.